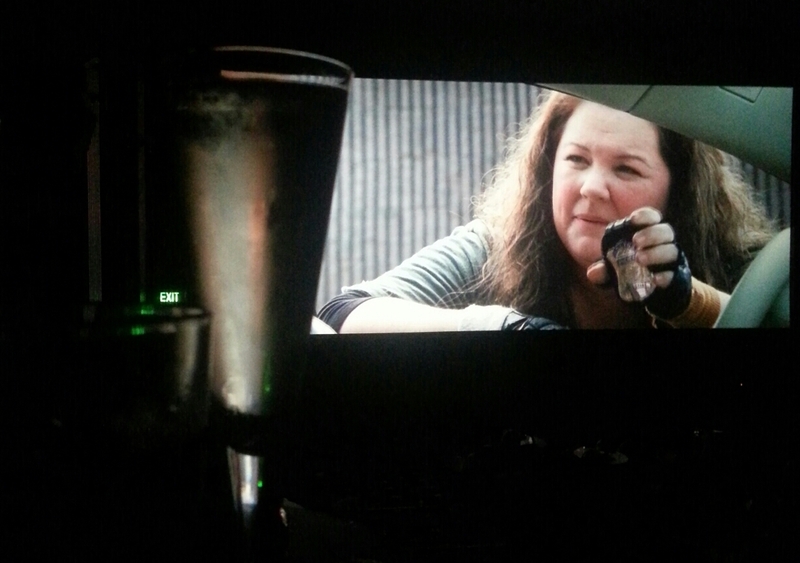 I'll admit The Heat wasn't a movie I had planned on seeing. In fact, I was barely aware it existed. I'm not sure if this was a marketing issue or if it just got lost in the shuffle amongst the season of blockbusters. I certainly never saw a trailer for it playing before any of the many films I've caught this year. It seems the film is having a little trouble finding a male audience. While it has female leads, it's not one of those cliched "chick flicks". Not even close. It's an old fashioned buddy cop action comedy that just happens to star women. It's a sad truth that films with female protagonists always struggle to get guys' butts in the theatre. (Case in point, our session was 90% female in audience) This is why we still haven't seen a Wonder Woman film (well, that and the abominations that were Catwoman and Elektra). It's a phenomenon I don't truly understand. I'll see a film if it's good regardless of the gender of the cast. With that in mind, I headed along to Event Cinemas in Innaloo and catch a showing of the film. 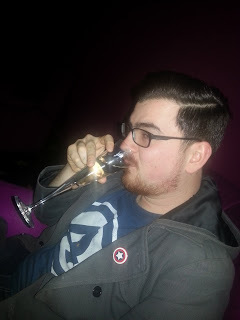 With a good mate in tow we caught it in Gold Class with some good food and a little bubbly. Nothing wrong with a little "man date" in my opinion. 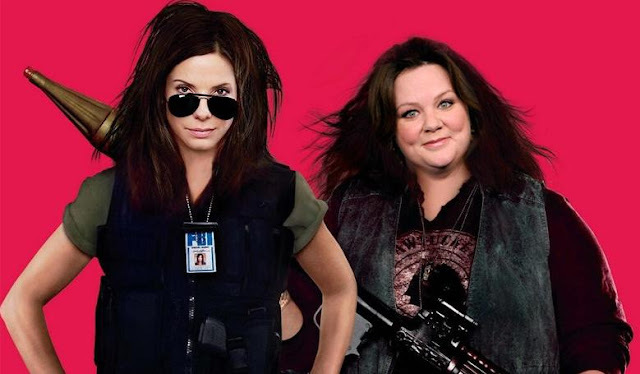 So, what did I think Sandra Bullock and Melissa McCarthy getting all Lethal Weapon? Hit the jump and find out! The Heat stars Bullock as Sarah Ashburn, an uptight, overachieving FBI Agent. Ashburn is a little too good at her job and rubs all her fellow agents the wrong way. Think Simon Pegg's character from the start of Hot Fuzz. In pursuit of a violent drug kingpin she heads to Boston where she crosses paths with McCarthy's Detective Shannon Mullins. Mullins is streetwise, foul mouthed, violent and a little unorthodox. Of course, in true buddy cop movie fashion, these two have to work together and solve the crime, fighting and bickering the whole way. This kind of odd couple cop pairing is a genre unto itself. I'm sure the average person could rattle off at least 5 off the top of their head. Lethal Weapon, Rush Hour, Bad Boys, Beverly Hills Cop, 21 Jump Street.. I could go on. In fact, check out the wikipedia page for a list of many of them. There's even more than I had thought! The Heat follows the expected formula to a tee. Perhaps a little too much. It's predictable and familiar. They meet and loathe each other, are forced to work together, respect starts to form until something forces the relationship to explode and finally they come back together in the end to save day. Oh, and of course the by the book cop learns to loosen up thanks to the loose cannon cop. It's a plot so old and time tested it's probably in the bible. Let's face it, in the buddy cop genre the plot is just the device to propel the hilarity. It doesn't need to be amazing or groundbreaking, just coherent. What makes it work despite this is the strength of the two leads. Bullock and McCarthy have wonderful comedic chemistry. The insults and barbs come thick and fast and are brilliantly delivered. McCarthy unleashes a flurry of foul language with every open of her mouth and Bullock is the perfect "straight man" to bounce it off of. The girls both go all in with a heavy dose of physical comedy too. A scene in a packed nightclub with Bullock trying to seduce to a dealer to bug his phone with McCarthy running interference against the other ladies is a hilarious highlight. All in all, it's a fun movie. It's not amazing but it's worth a watch. It wont bore you and you'll definitely get a few good laughs. If you're a fan of McCarthy from Bridesmaids or This is 40, you'll definitely enjoy this. She's at her abusive, foul mouthed and politically incorrect best. If you're a fan of buddy cop films, that's another tick in the box. While the fact the two leads are female does freshen up the genre, it doesn't define the movie. There's no tacked on love story here, thankfully, so it doesn't delve into romantic comedy territory. This is just two mismatched professionals doing their job. They just happen to be women. Why should the male cops get to gave all the fun shenanigans in Hollywood?